Mercury opposite Mars in the natal chart gives a sharp mind and tongue. You are a warrior on the mental plane and can be a feisty debater. A strong tendency to challenge the words and ideas of others can lead to problems, mainly because of the speed at which you react. The number one skill to learn with this aspect is patience. A well placed Saturn in your chart will help greatly, but most of you are going to have to learn patience through competition. Some embarrassing loses will be part of your learning experience. One to one relationships will be the main arena of competition. Listening carefully is the first step. Listening before talking is something that must be consciously learned. You may also have a tendency to react with hostility to the words of others, even when they are not threatening at all. Other may find you words and hand gestures threatening even when they are not. Until you consciously pace yourself while interacting with others, arguments and conflict will hamper your progress in many areas of life, but especially in relationships. Public speaking and debating are good ways for you to hone your acute mental skills. With practice, communication will become your strong point. Temper tantrums are a great way to release built up anger but of course, are self-defeating. This aspect does create a lot of nervous tension which can turn to anger or resentment at anything you believe is the source of the tension. Burning up your incredible amount of mental energy through reading or puzzles will help, but also through creative or artistic work that requires the dexterity of your hands and fingers. Relaxation methods such as meditation or yoga would also help in channeling your raw, aggressive Mars energy. It is important to either release your anger safely or channel it into productive outlets. Otherwise there will be an increased risks of disagreements and conflict. Excessive risk taking and impulsive actions could lead or injury, especially to your limbs such as cuts and burns. As Mercury rules transport, you should also avoid impatience when driving or operating dangerous machinery. These things will become less of a problem the more you develop your skills and learn patience. Transiting Mercury opposite Mars is a sign of impending arguments and conflict as internalized anger and resentment escape through your words and thoughts. The obvious manifestation is being overly direct in speech, thus provoking hostile reactions. Less obvious is thought projection. Thoughts are things, just like words. They have energy and cause things to happen. The result of this subconscious level of communication will be provocative and aggressive words from others. You may think you are totally innocent but they may have picked up your angry thoughts about them or something they believe in. Patience and relaxing are key to dealing with this transit. Try not to be so defensive and spontaneous in your reactions. Think twice before making bold statements and do your best to avoid arguments. Nervous tension may rise as this transit approaches so remaining calm is important. Yoga, exercise or meditation are ways to lessen the risk of temper tantrums. Your aggressive energy can also be released safely by applying your mind to puzzles or hobbies requiring metal skill and dexterity with hands and fingers. If you rush into this transit without consciously remembering patience, then arguments may turn to fights and the risks of accidents or injury increases. Patience is especially needed when driving or using dangerous machines like chainsaws. This planetary combination has the potential to cause cuts and burns, especially to your hands, arms and legs. Kamisese Mara 0°33′, Nina Simone 0°39′, Zayn Malik 0°40′, Roberta Taylor 0°40′, Amal Clooney 1°09′, Bernadette Peters 1°09′, Steffi Graf 1°40′, Henri Toulouse-Lautrec 1°59′, Anne Henche 2°08′, Chuck Berry 3°55′. U have exactly pin pointed the flaws of this configuration. Hyperactive throught processes and reactions with sharp tounge. I have Saturn conjuct mars in Virgo opposite sun conjuct mercury in Pisces. But I have channeled this sharp communication in compairing and anchoring public events where I also use the gestures of the hand to connect to my audience. Thanks for this wonderful interpretation of this configuration. I am April 2, 1982 at 12.50 pm IST. Keep up this wonderful forum Jamie… All the best. You have really developed the potential in your chart very well Tina. Looks like Moon rising has helped you express your personality in public. I expect it would have been a challenge to overcome stage fright at the beginning? I was too shy and feared public gatherings and suddenly at the age of 19 found someone who recognied the potential and that was it. Of course my full time job is in government service which is too depressing at times because of the rigid system but it has also allowed me to develop the trait of public speaking. Thanks for the follow up Jamie. And thank you for the confirmation. Good for you! I don’t do relationship astrology Mayank. Your troubles should be gone by mid September with Jupiter trine Sun transit lasting all that month. Hi Jamie! I’m chiming in after a long time…. Enjoyed this analysis. However, I see you haven’t mentioned that this particular Mercury-Mars Opposition (9Jun.’16) falls on Algol – that horrible, horrible fixed star. How do you think this will affect the matter? Also, I’d like to point out something a bit more personal. Mercury sextiles Chiron before opposing Mars. My partner has their natal Chiron on Algol (Yes, very abusive childhood). 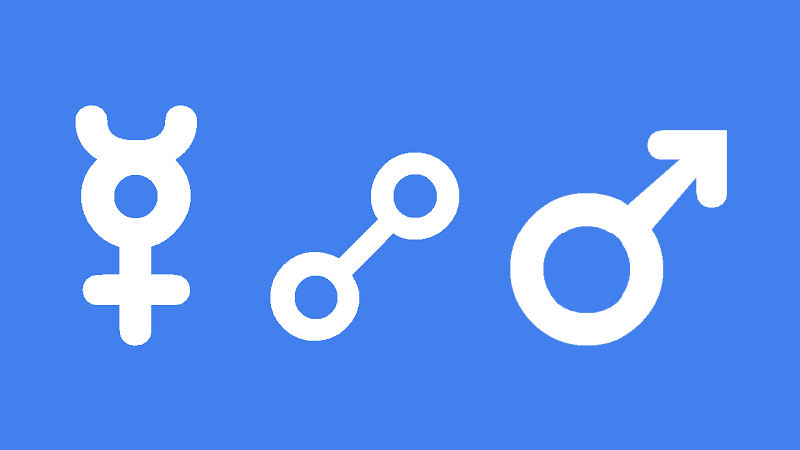 So, I believe this Mercury-sextile-Chiron-opposite-Mars thingie will affect them at a personal level, as it connects to a sensitive point on their chart. Don’t you agree? Ha ha, like long time listener, first time caller? I don’t look at all of the charts for these current aspects but this is important with Algol plus Mars being retrograde. I expect that the verbal abuse well be more disgusting and vile. It will be interesting to see if Donald Trump makes a speech around this time because he has Algol on his Midheaven. Depends how close an orb between Mars and Chiron but for sure any transit will manifest something when hitting a natl planet, especially a transit from two planets in opposition. OMG this is so amazing!!! Glad you popped in. Welcome to my cyberhome! Good luck coming for both with Jupiter sextile Sun transit mid September 2016. Interesting aspect! Would it play in the same way in a synastry where the Mercury person has Mars as ruling planet of the sun sign and tthe Mars person has Mercury as the ruling planet of its sun sign? I don’t think so Meli. Only is one persons Mercury was opposite the other persons Mars. Thank you Jamie for clarifying this for me. It’s the case! So One person Mercury is opposite the other person Mars with the addition that the person Mercury has Mars as ruling planet of its sun sign and the Mars person has Mercury as ruling planet of its sun sign.